Americans have a bizarre fascination with almost all things British. Maybe this comes from our history as formerly rebellious subjects of the Royal Majesty, or maybe it’s just because we think British people talk funny. Very near the top of British things we love is anything having to do with British spies. 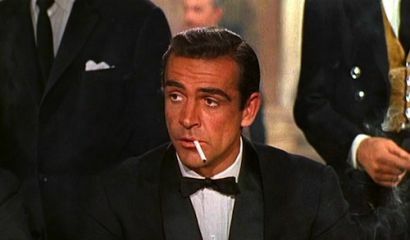 Americans have made twenty three James Bond films for crying out loud. If that’s not an obsession, I don’t know what is. 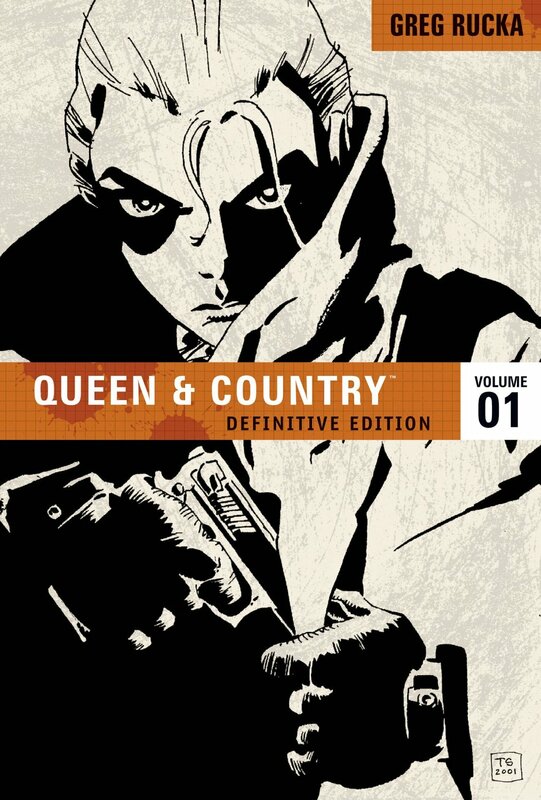 In the realm of comics, the 007 role is filled by Queen and Country by Greg Rucka. While Bond shows the life of spies as glamorous (is there really a glamorous side of a spy’s life? ), Queen and Country is closer to reality and is full of fantastic and intriguing details that make for a wonderful page turner. Sorry Sean, it’s just too good to be true. 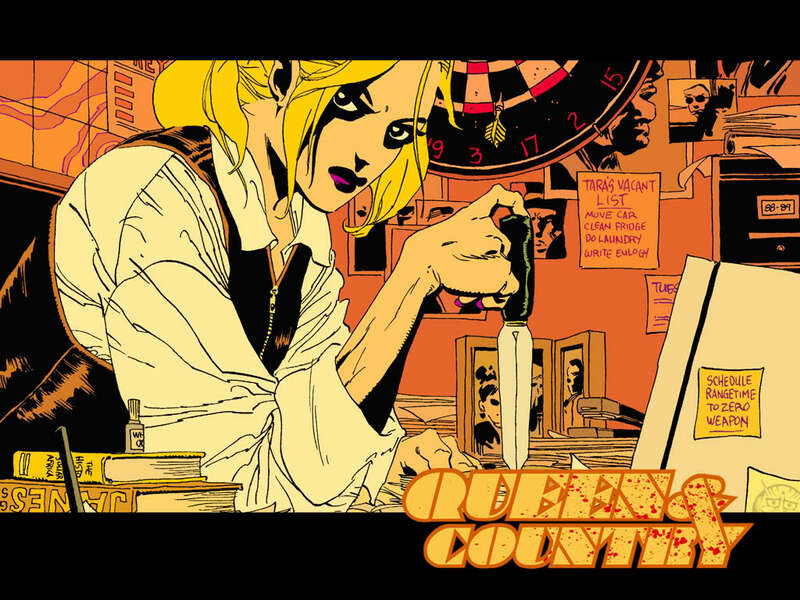 Queen and Country is unlike most comics in several ways. Written in short arcs, each story is a stand-alone tale involving a particular mission undertaken by the MI-6 operatives Tom Wallace, Tara Chase, and Edward Kittering (called Minders 1-3 respectively) under the leadership of Director of Operations (D. Ops), Paul Crocker. Although Chase is the primary protagonist (even though she is Minder 2), the other Minders and D. Ops all get plenty of time in the spotlight and seem to hardly be secondary characters. Writer Greg Rucka very skillfully shows the difficulties these characters are forced to go through, both physically and mentally as they try to protect Great Britain from all of its foreign enemies while trying to maintain their humanity. The reality of the intelligence community is that it often stresses people beyond the limits of what most people can endure and then ask them to sacrifice the very things that make them able to cope with this stress. Rucka’s adroit use of these types of details make it easy to believe that he is telling true stories relayed into comic book form. Queen and Country provides an extraordinary look into the world of international espionage while still holding on to the human element in the lives of the Minders. “Operation: Broken Ground” deals with the assassination of a Russian arms dealer by Chase and the fallout afterwards. After a successful post-assassination escape, Chase must deal with Russian hit squads coming after her as well as the guilt she has from killing another human being (even if he did deserve it). I found starting off the series with a character study like this to be a rather daring choice. What makes it even better is that it is very well done. I found myself asking how I would respond if I were in the same situation. Of the three stories in Volume 1, I was most amazed by “Operation: Morningstar,” which tells about how Minders 1 and 3 are trying to retrieve intelligence that had been obtained by a recently murdered journalist in Afghanistan. To an audience today this doesn’t seem to be all that out of the ordinary as Afghanistan has been a part of lives for the last twelve years. What makes this storyline so incredible is that was written and published pre-9/11. It is a spy story taking place in Taliban-controlled Afghanistan, and shows the terrible conditions and treatment by terrorists of the people living under their heel—and it was all written before September 11, 2001. The foresight revealed in this story is both stunning and rather unnerving. The story itself is well written and has a great sense of suspense and intrigue. The final story, “Operation: Crystal Ball,” involves a defector trying to give details of a terror plot and the race to prevent the attack. The first issue of this story also shows us how the characters deal with the events of 9/11 and its impact on their field in particular. The art for each of the individual arcs is pretty good. While frequently on the cartoonish side, the black and white illustrations rarely seem out of place and are typically very easy to follow even during action sequences with very little dialogue. The Definitive Edition also includes some great one page splashes from Tim Sale between issues. Something that is rather helpful to new readers is the character roster that is included before the start of each story arc. Since the art changes with every new story—and sometimes in the middle of a story—this roster is useful in helping readers identify characters. Tim Sale’s amazing depiction of Tara Chase. These changes are my only real complaint. I would have liked to see a bit more consistency from arc to arc. This might be a result of reading all the stories in a combined format the way I did, but the wildly different styles, though all well done, made this feel much less cohesive. Using artists with similar styles would have provided a more unified feel to the whole collection. After finishing Queen and Country Definitive Edition Vol. 1 all I wanted was more. I want more of these characters, more adventures and more political intrigue. I’ve already picked up the next volume and it is on the top of my reading stack. I would recommend this to anyone who is looking for a comic outside of the normal superhero genres or anyone who loves spies and political intrigue.